We have had a couple of busy months in January and February but the dust has settled here at the shop and we are taking advantage of our new larger space to have more of what our quilters want and need. We have a lot of new fabrics arriving in the shop and more fabrics to come that we are excited about. 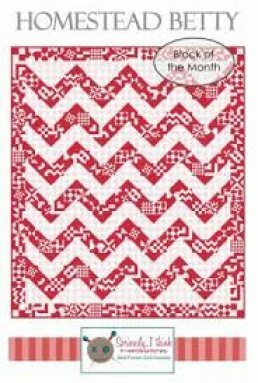 We have added new classes on the calendar, additional Accuquilt Go events are in the works and this month an Elna Sewing, Quilting, Embroidery Machine Sale you will want to check out too. Did you see our posts from our Superbowl Mystery Party back on February 3rd? We had 18 ladies in the shop to make a Mystery Quilt Top in a day and the quilt has been a big hit with those who did the mystery and by those who viewed the finished quilts on our Facebook page. We have had many quilters ask for the pattern and while we don’t have patterns to sell, we have decided to celebrate National Quilting Day, March 16th by having a “It’s No Mystery - Mystery Quilt in a Day Party”. We will sew the same quilt that we did at the Mystery Bowl Party but this time with a little less mystery. We will have 10-12 spots available and if you would like to join us you will need to sign up by March 13. The cost is $25. After you sign up, you will receive a fabric yardage list and cutting instructions. All cutting is done at home so we can just sit and sew the quilt top together in one afternoon. Clues will be given throughout the day and lunch will be provided. It is sure to be great day to get together with your friends and celebrate National Quilting Day. I hope you all can join us on Friday, March 1st for Demonstration Day here at the shop. Our theme this month is “Weaven and a Woven”. Come see our woven quilt projects that add texture and pattern to your quilts. Demo Day starts at 10:30 am and it is free so come join us! Be sure to check in at the shop or follow us on Facebook to keep up to date on new accuquilt promotions. Saturday March 16 is National Quilting Day and we will celebrate with a It's No Mystery Party. We will be sewing the same quilt we did at the Mystery Bowl Party but this time with a little less mystery. We will have 10-12 spots available if you would like to join us you must sign up by March 13. The cost is $25. After you sign, up you will receive a fabric yardage list and cutting instructions. All cutting is done at home so we can just sit and sew the quilt top together in one afternoon. Clues will be given throughout the day. Lunch will be provided and it is sure to be great day to get together with your quilting friends and celebrate National Quilting Day. You can link to the event page by clicking here. Get in the Game! Factory Inventory Sale! You can save 15% OFF the posted Sweet Stitches sale price on our line of Sewing, Quilting, Embroidery Machines and save 20% OFF Sergers during this factory inventory event. On March 15th, Rob will place a factory shipment request and this single order / single shipment from the New Jersey warehouse will save you 15 - 20% on a new elna sewing machine. You must order your machine by 3/14/2019 to take advantage of this opportunity. Sorry, no rainchecks and no extensions are possible. Click below to learn more about our elna machines or stop in the shop to test them out! Month 2 Blocks for our "Homestead Betty" Block of the Month are ready for pick up as of March 1st. 1st Friday Demo Day returns on March 1st at 10:30am when Joan will be "weaven and a woven" through some fun fabrics, patterns, rulers and tools that can add texture to your quilts. As always, the 1st Friday Demo is FREE! Our classroom is available on Friday's from 10am until 4pm to anyone that would like to work on their sewing/quilting project. Use the space, meet new people and enjoy a day of sewing. Bring your machine or call ahead to reserve one of our classroom elna machines for the day! An interesting problem was presented at the shop recently. 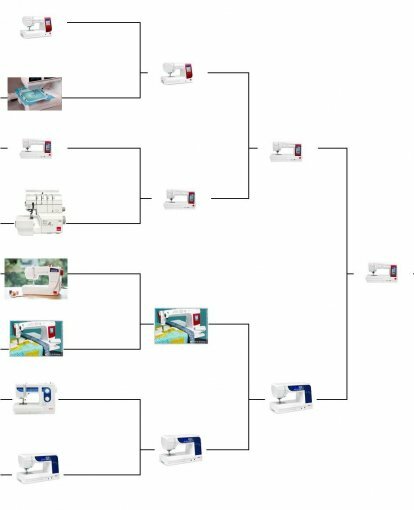 As with many new sewing machines these days, the number of features and options available are quite impressive. Modern machines have automated settings through electronics or even a computer processor. A brand new computerized machine was skipping stitches when it was placed into its automated ruler foot mode. The machine sewed perfect stitches in every other mode, but attempt to use the ruler foot setting and things literally fell apart. After some observation and testing I was able to determine that the distance between the presser foot and the fabric was far enough to allow the fabric to travel up as the needle was raised. This meant that the thread was not properly forming a loop and skipped stitches resulted. While electronic and computerized machines have default factory settings, certainly in this case the default was at fault for the poor outcome. A simple adjustment on the screen to the presser foot setting was all that was needed and the machine was running and the stitches were looking as expected. 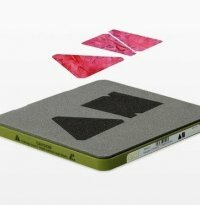 Keep in mind if you are running a modern electronic or computerized machine that while the default settings may be an excellent starting point, your fabric, thread, batting, stabilizer, etc, etc, may just call for a modification beyond default for optimum performance. Don't be afraid to make adjustments to experiment in an effort to improve performance.